“Fitness should be a part of everyone’s daily lifestyle. Whether you are trying to train for health and longevity, or for a specific goal or event, exercise can be your strongest medicine." Having an athletic history and along with it several injuries, Dr. Tom Teter is passionate about finding the underlying cause of many of the injuries facing athletics. As opposed to the traditional model of care which involves chasing symptoms and pain, Dr. Teter aims to find the underlying cause of his patients problems. He believes that every patient is unique, and although several people can present with the same complaint, it may be caused by completely different things. Dr. Teter received his Bachelor of Science degree in Recreation and Leisure Studies with an emphasis in Health and Wellness Promotion from Missouri State University. He earned his Doctorate in Chiropractic from Cleveland Chiropractic College in Kansas City, Missouri. Certified as a Corrective Exercise Specialist and Performance Enhancement Specialist by the National Academy of Sports Medicine. He is also certified as a Strength and Conditioning Specialist by the National Strength and Conditioning Association, and is also a Certified Functional Strength Coach. Certified in the Functional Movement Screen and the Selective Functional Movement Assessment by Functional Movement Systems. He is also certified instrument assisted soft tissue mobilization by the Graston Technique, SMART Tools.Plus, and in the FAKTR integrated soft tissue therapy system, as well as being certified as a Kinesiotaping specialist. Has extensive post graduate education in the fields of neuromuscular reeducation, biomechanics, as well as in the mechanics and physics of resistance training. 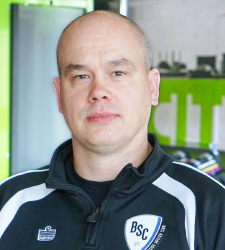 In conjunction with his work within his professional role in his clinic, Dr. Teter is also a Associate Professor and the program director of the Fitness / Wellness program at Park University, where he teaches undergraduate students courses in exercise physiology, kinesiology, and strength and conditioning. He has been fortunate to work with many professional athletes, as well as many collegiate and high school athletes recovering from injury, or looking for a performance edge. His expertise in the treatment and management of sport-related injuries, as well as his experience in sports performance training allows for cutting edge treatment and training programs that will keep you injury free while improving your performance.